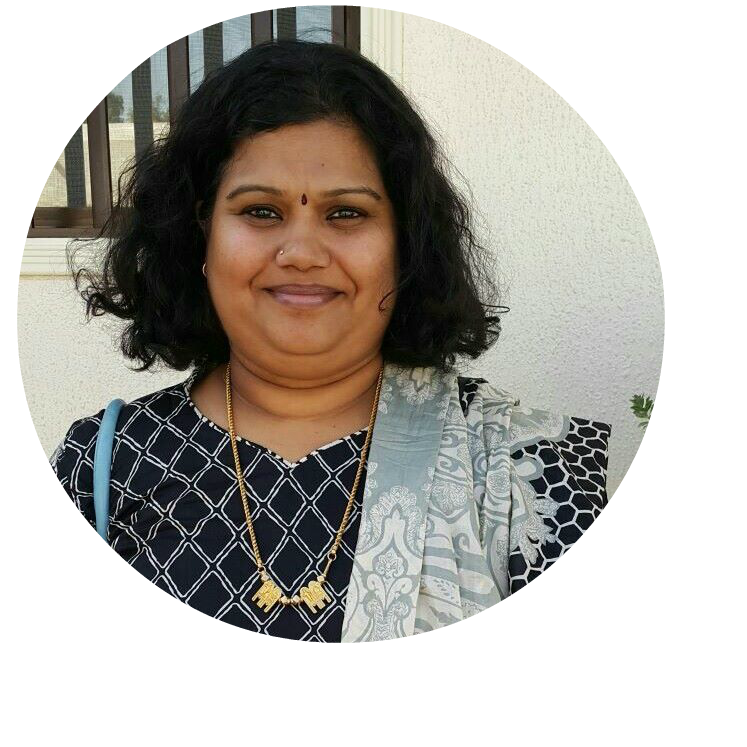 Cashewnut nokkal, i love this name, this is what attracted me first when i saw this post at Sandhya's space. She made this traditional south indian candy for one of our mega BM's. This recipe is from Meenakshi ammal's Cookbook Samaithu paar (Cook & See). This book is a regular gift to every girl who is getting married, particularly to those who are settling abroad, away from home. 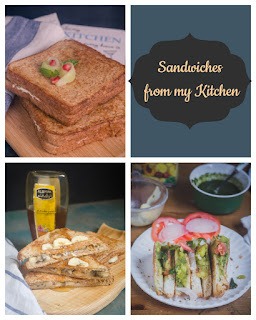 My mom is an exception, she didnt give me, instead she gave me written notes of certain recipes. 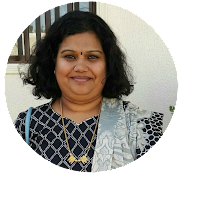 Ok, let us talk about this nokkal, you got to read, me writing this name, because i like saying it! 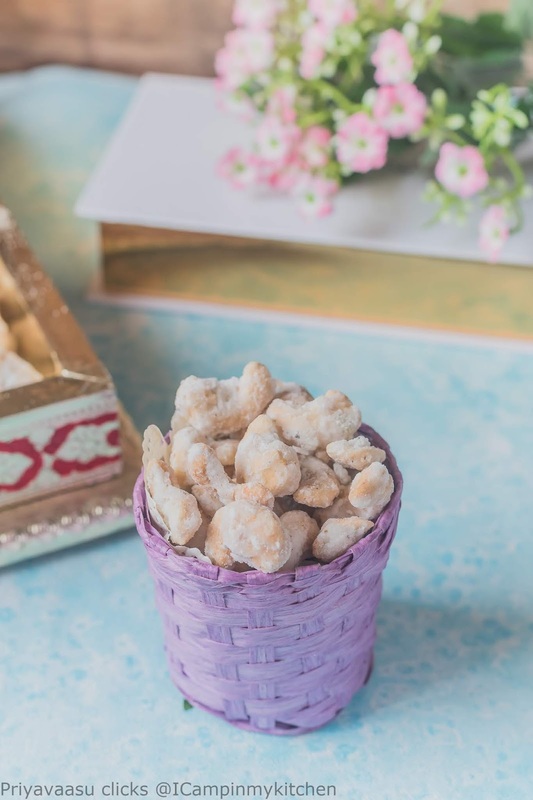 We make so many candies in our tradition, mainly using jaggery as the base, the manoharam, made with jaggery and broken manoharam muruku, peanut candy, puffed rice candy. Apart from the burfi which we make with sugar, like mysorepak, Badam Burfi, 7-layer cake, coconut burfi, this is the first candy i m making just with nuts and sugar. 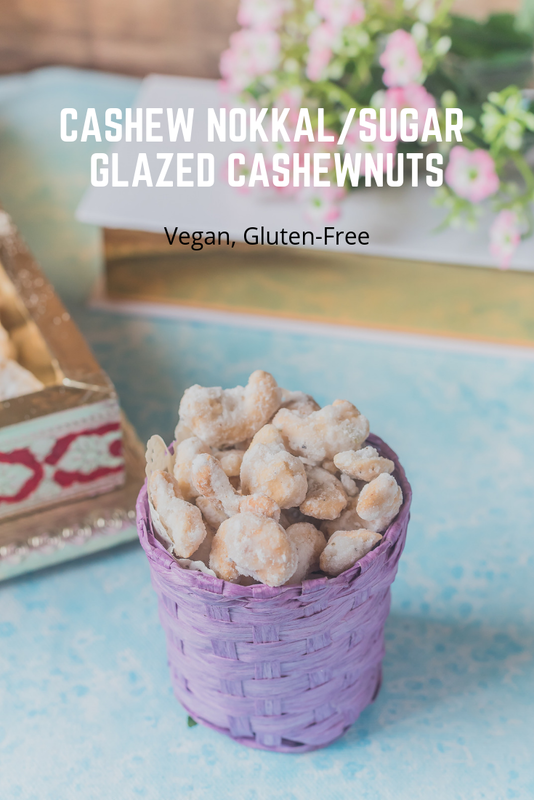 I totally loved the process of it, it is pretty simple if you have roasted cashewnuts ready. You can buy readymade roasted cashewnuts, or you can toast them in the oven or use the stove top and roast them in ghee until golden brown. 1 cup roasted cashewnuts, unsalted. I used the oven to roast the cashewnuts. Take the cashews in an oven-proof bowl, add a tsp of oil to it and using your hands coat the cashews well. Preheat the oven to 200C, toast the cashews in the preheat oven for 8-10 minutes. Temperature and timings vary from oven to oven, so keep an eye on the cashews after 8 minutes. Once done, remove them from the oven, let it cool well. It is important to cool the nuts well before making the nokkal. Crunchy nuts makes perfect nokkal or else you will end up with soggy and sad nokkal. To make the Sugar glaze. Before proceeding, pound the cardamom seeds and cloves together to a fine powder and keep it ready and also keep the roasted and well cooled cashewnuts by your side. Heat a heavy bottom pan, add sugar and 1/4 cup of water to it. I have used powdered sugar, you can use granulated sugar too. Mix the sugar and water together and let the sugar dissolve completely in the water. Let it boil and reach one string consistency. This happens around the 6th minute from the time the sugar starts to boil. When you touch a drop sugar syrup and stretch it between your thumb and index finger, you will get a single string, this is the consistency we are looking for. Once you reach this consistency, add the cardamom and clove powder to this, and also the roasted cashewnuts to it. Switch off the heat and keep mixing it gently and breaking the lumps that forms. Again, this step is important to coat the nuts evenly with the sugar, so keep stirring the nuts with the sugar, at one stage, all the nuts would be coated with the sugar and well separated and you will end up little powdered sugar in the pan. Its is fine to have one or two small lumps of nuts. Let this cool well, store them in an air-tight container on the kitchen counter. 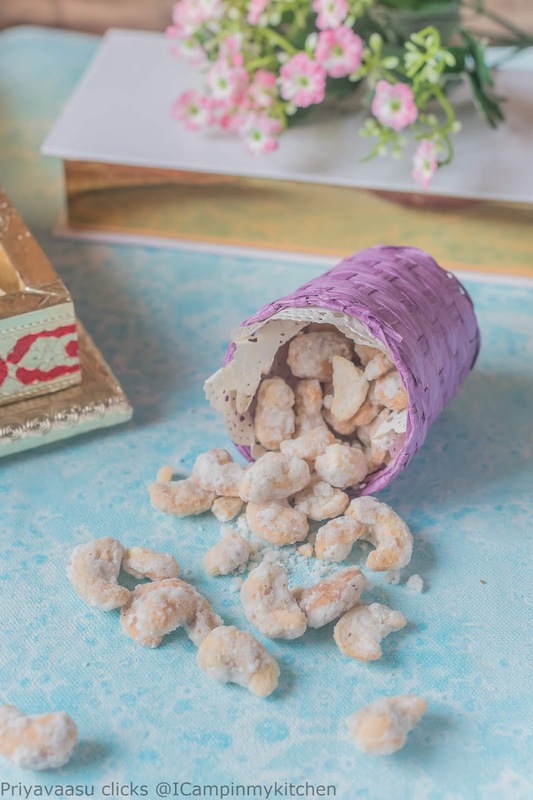 Wow, these sugar glazed cashew nuts looks so cute and crunchy.Must have tasted delicious. Lovely share. OMG! These normal look fantastic Priya. The recipe sounds easier and perfect for gifting. Please pass me that candy box. i could eat the whole batch of these! the flavors are incredible and I can't wait to make them! These sound so easy and delicious to make, and the spices added to them is really unique! I love the history behind the sweets too! These cashews look so yummy & indulgent! I've had a lot of sugared almonds but cashews must be even better! 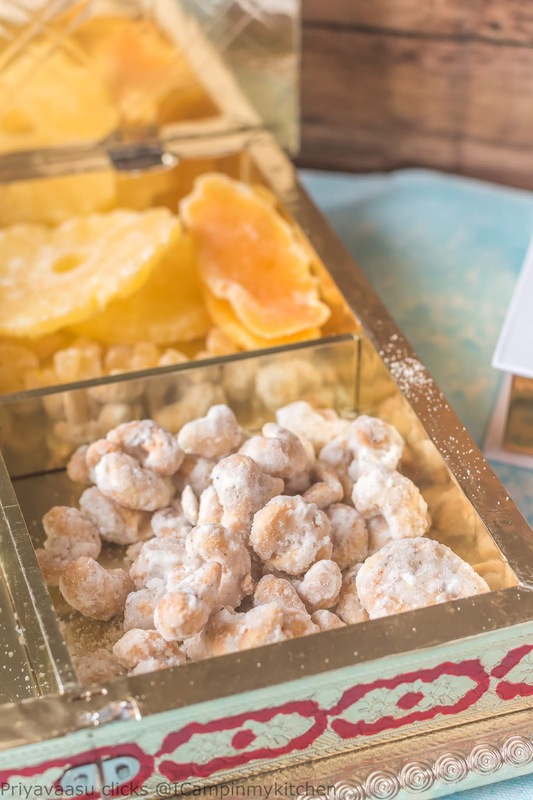 Sugar glazed cashews sound like the perfect sweet treat for gifting. A simple recipe that produces fantastic flavor! 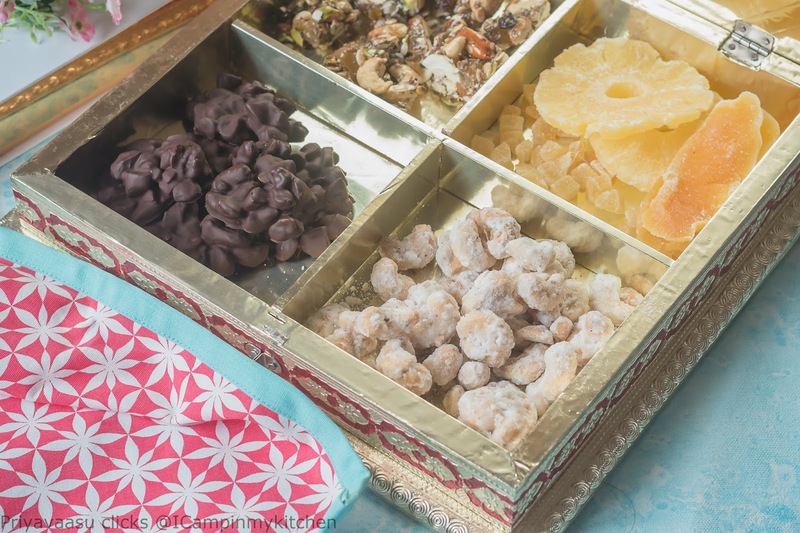 I love cardamom and cloves so I'm positive that these candies cashews would be a hit at my house. Great sweet snacking food. wow this candies are so yum, I love the whole box. I think on the top is pineapple right, did you made those too..waiting for the recipe.